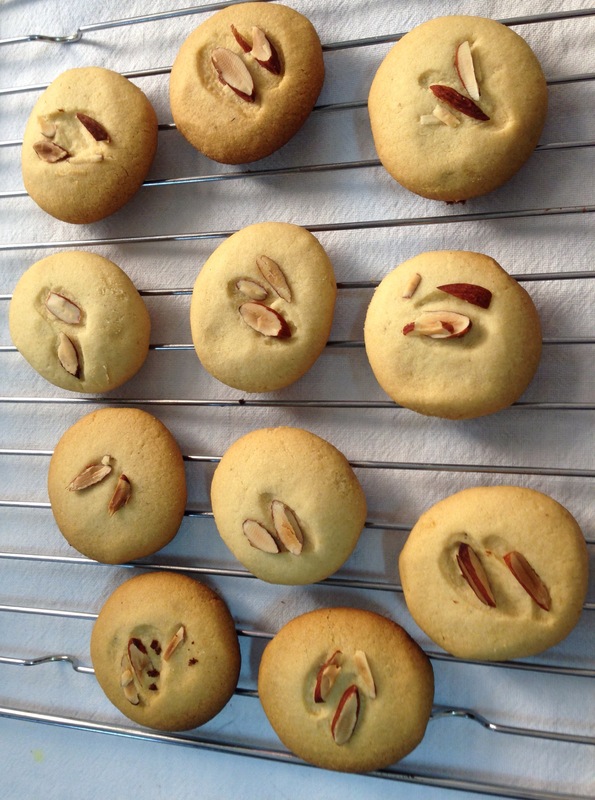 Pistachio and Almonds – ½ cup powdered and 2 tbsp -thinly sliced for topping. Firstly sieve APF/Maida ,Gram flour and baking powder into a bowl. Now add all the other ingredients and form a dough. The dough should neither be too hard not too runny. Soft enough to be able to make small lemon sized balls with ease. Pre-heat the oven at 200°C for 10 minutes. Make small lemon sized balls, gently press them from top and place them on the greased baking tray. There should be enough gaps in between the cookies placed on the tray as they would rise in size once they are baked. 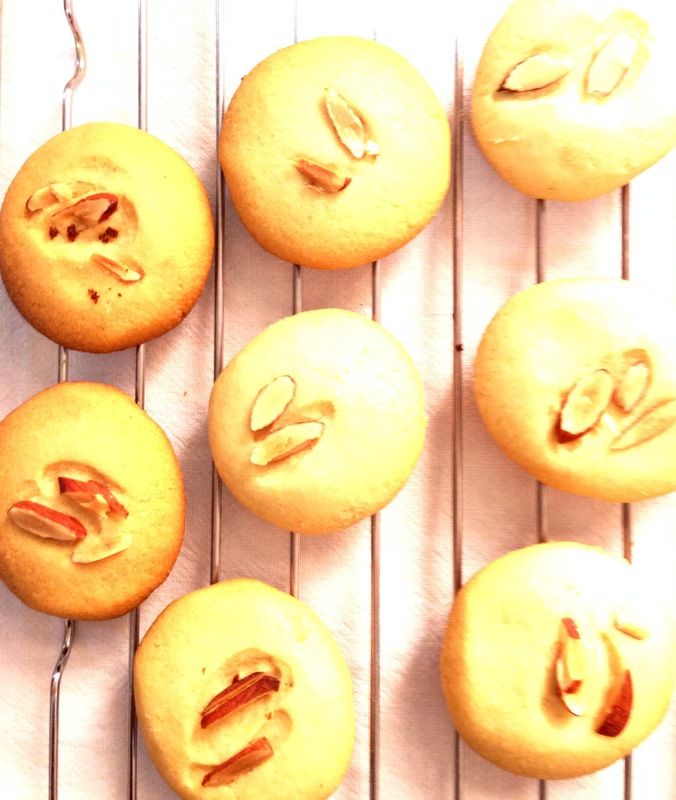 Add few thin slices of dry fruits on top. Bake for about 12-14 minutes at 180°C. Once done remove them from the tray very carefully and transfer them onto the wire rack. The cookies will be soft initially but once cool they will be crunchy and perfectly baked.